I fell in love with Shogun 2 a few years back, and I really enjoyed the interplay between the strategic and tactical layers. 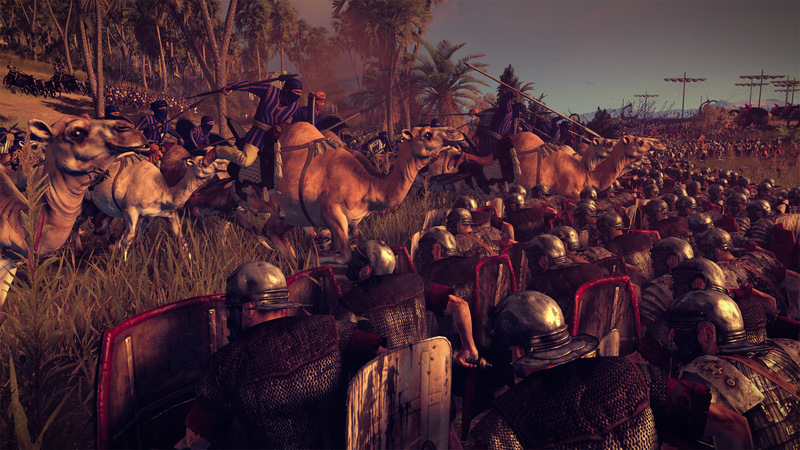 Sega's Creative Assembly studio in England has decided to invest in improving its already fantastic engine yet again with Rome and it looks and plays spectacular. 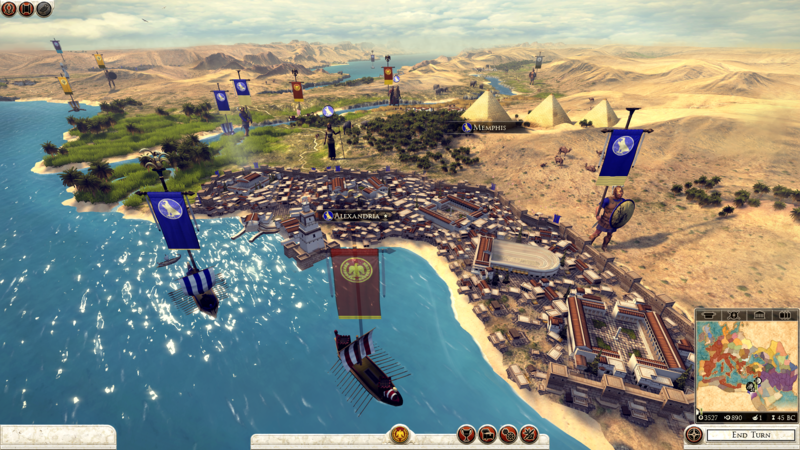 Getting my hands on the mouse and keyboard to actually engage in a tactical battle with Roman and Egyptian forces on the sea and land was tons of fun, even if my poor legionnaires were overrun by Egyptian war elephants. First, we got an overview of the new strategic map from one of the developers. The playable area stretches from Spain to Afghanistan and the flora and fauna viewable on the 3D map itself changes based on where you are. Egypt and the Middle East are yellow and brown, with dunes and palm trees and elephants. The cities match the culture's architecture, and improvements you build instantly grow in front of you on the map. 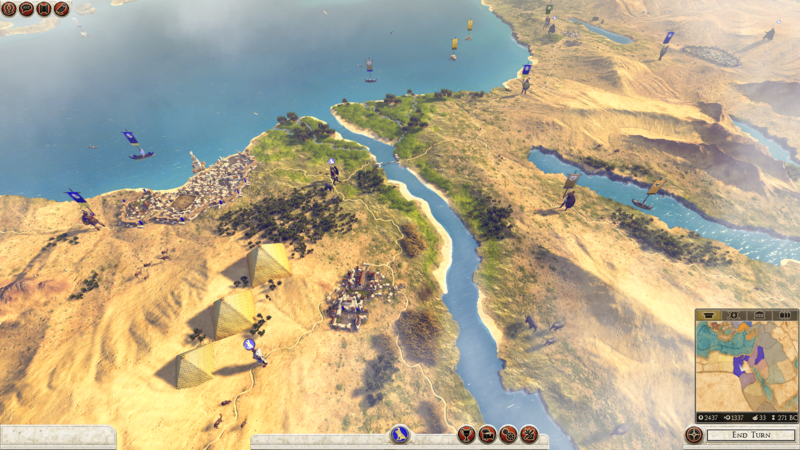 Wonders like the Great Lighthouse of Alexandria and the Pyramids at Giza dominate your view, and they also provide buffs to your empire and units within the province. 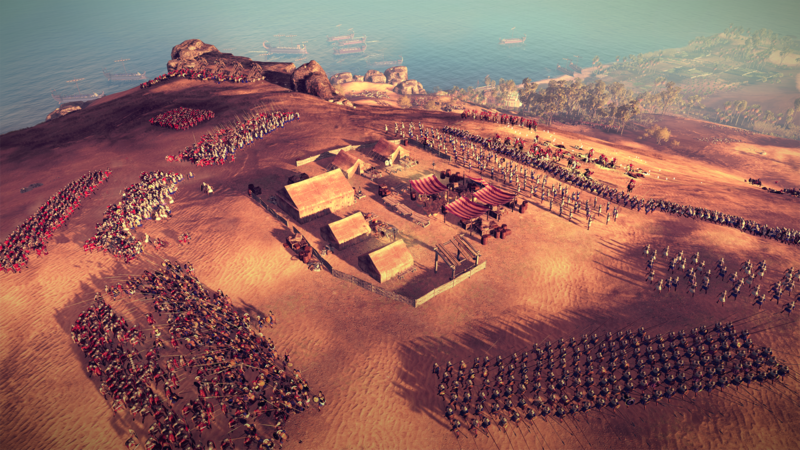 There's also the addition of politics within the Roman empire, with three house vying for control and influence - a system some players may remember from Rome Total War. 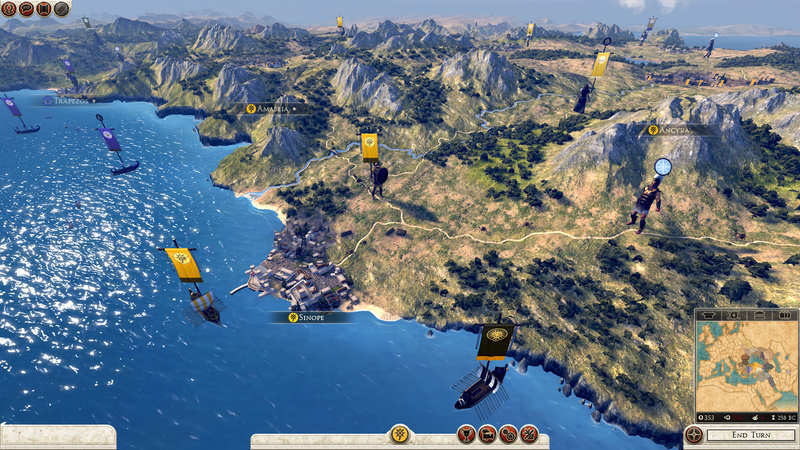 The politics screen shows various personages and generals, and you can use specific actions from this screen to take care of potential threats to your dominance. The example shown in the demo was Cicero, a Roman Senator that has been giving speeches against Caesar's reign, and we had the option to discredit him to decrease his influence. Of course, assassination is also an option. Sorry, Cicero, you're dead. Insert Game of Thrones reference here. Enough about strategy, let's get to the battlefield. True to Creative Assembly's promise when they announced the game, you can indeed fight naval battles while simultaneously fighting on land. 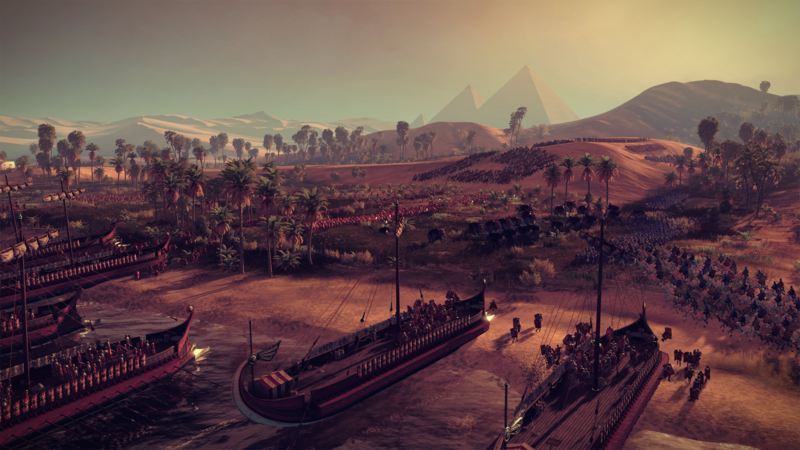 And they can even influence each other, in that you can land forces from boats on beachheads or fire at ships from artillery positions on the land. 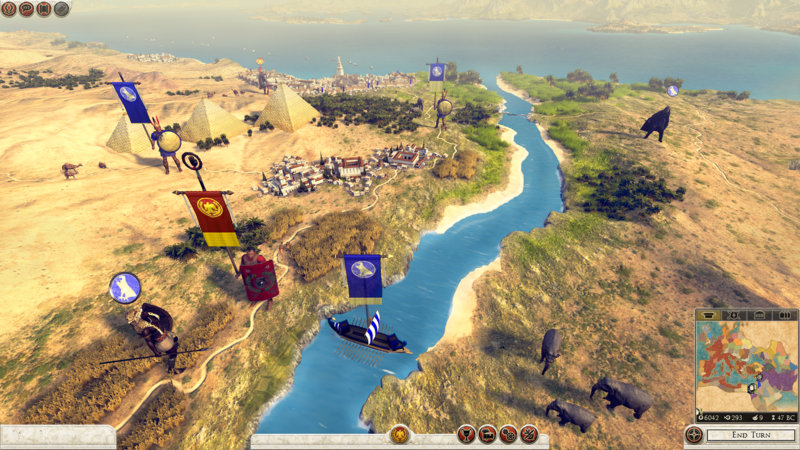 The scenario for the battle I played had the Romans assaulting a hill held by Egypt. We had ships that could land men, but I had to fight off the defending navy first. 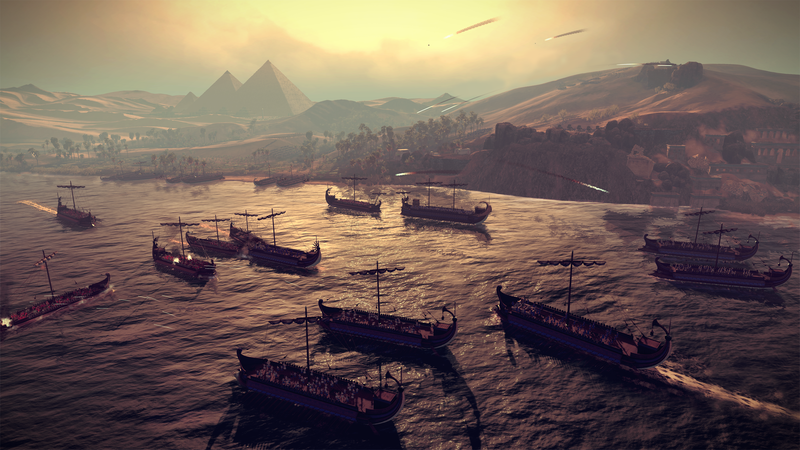 I conducted the naval battle first, using artillery ships to hammer at the enemy triremes before boarding them and eventually sinking most of the defenders. Due to artillery fire from the hill above though, I only survived the fight with 4 ships intact - a meager assault force. I then began the land push, moving my infantry up to flush out archers hiding in the woods and maneuvering cavalry to the flattest approach up the hill. 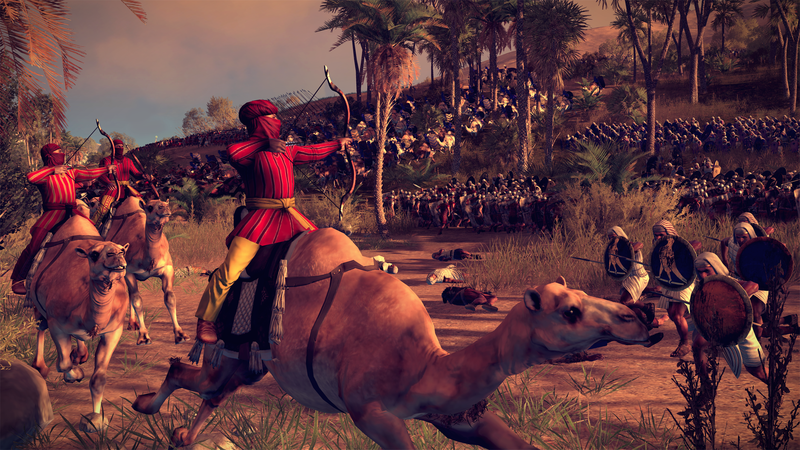 Unfortunately, I waited too long for the assault, and Egyptian reinforcements of cavalry and war elephants quickly decimated my main army, while the two units I landed behind the hill couldn't really make much of a dent. I immediately wanted to boot up the scenario again and try to master a simultaneous assault, but my time was finished. 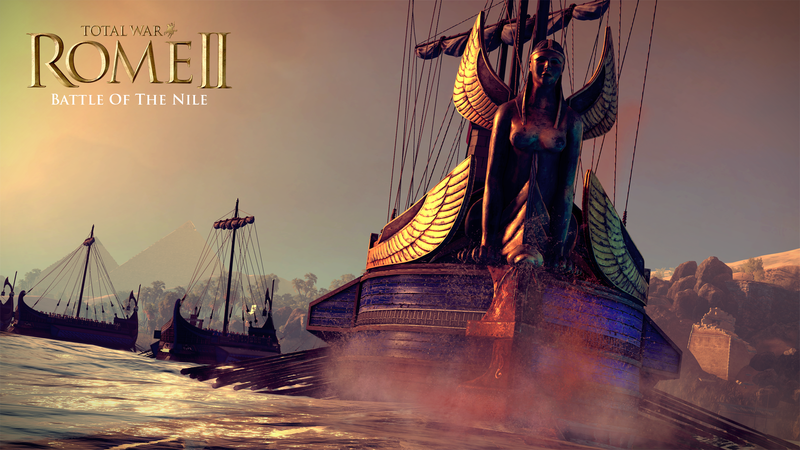 Rome Total War 2 comes out on September 4th for the PC. I will play the crap out of it.